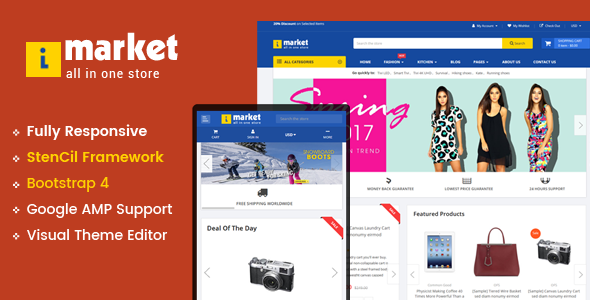 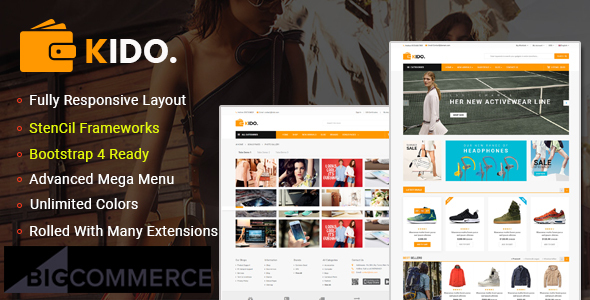 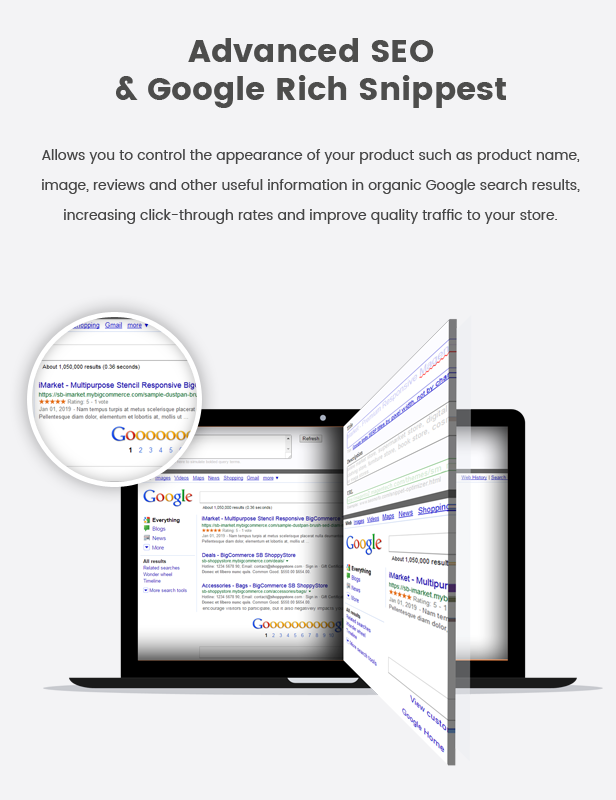 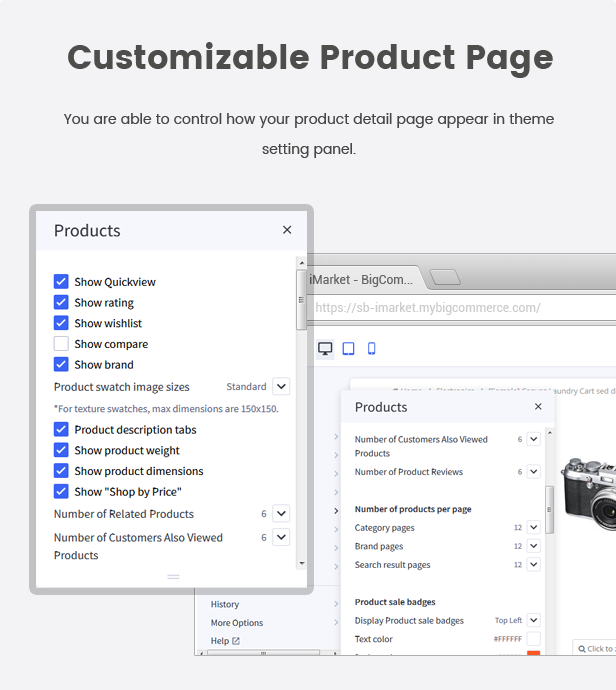 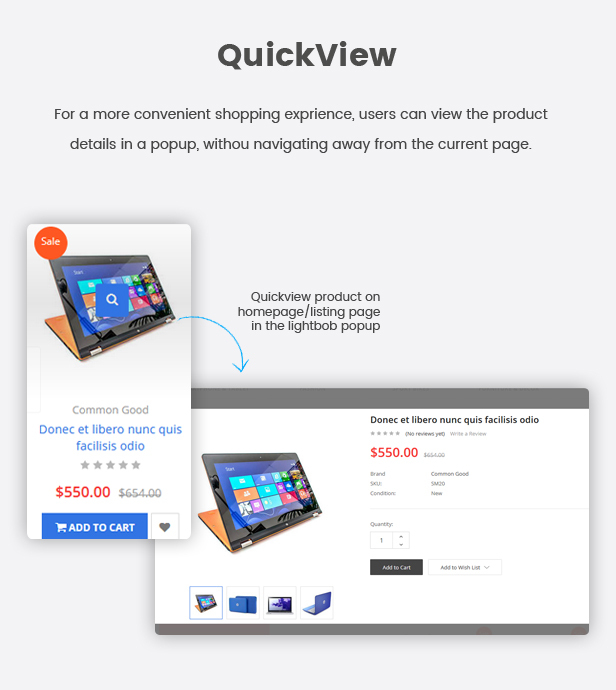 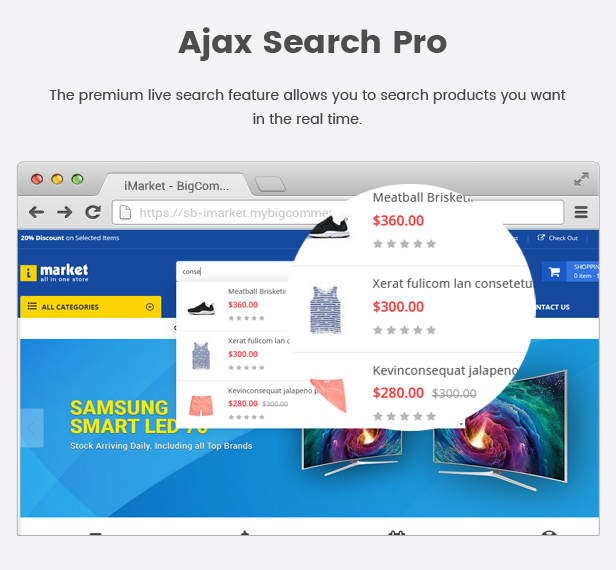 iMarket – A Professional, Clean and Modern Responsive BigCommerce Theme. 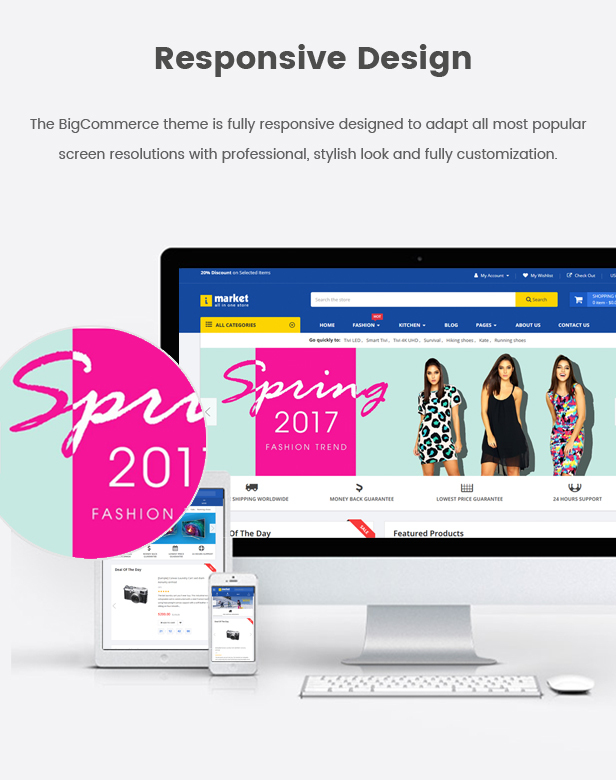 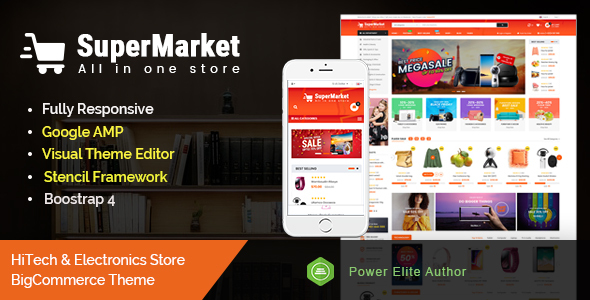 iMarket BigCommerce Theme is built with powerful Stencil Framework and latest BigCommerce technology that allow you quickly & easily customize your online store. 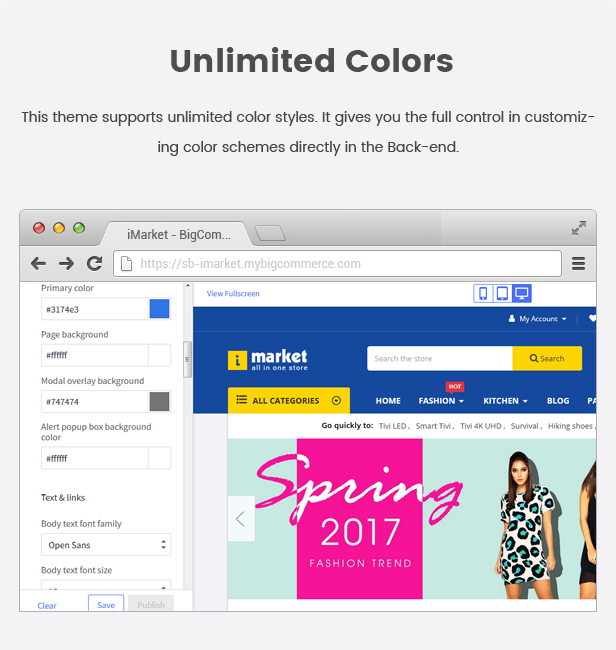 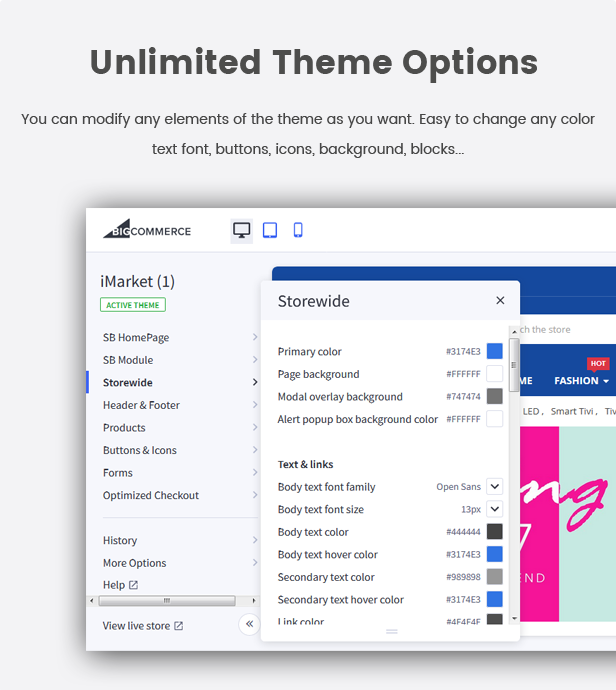 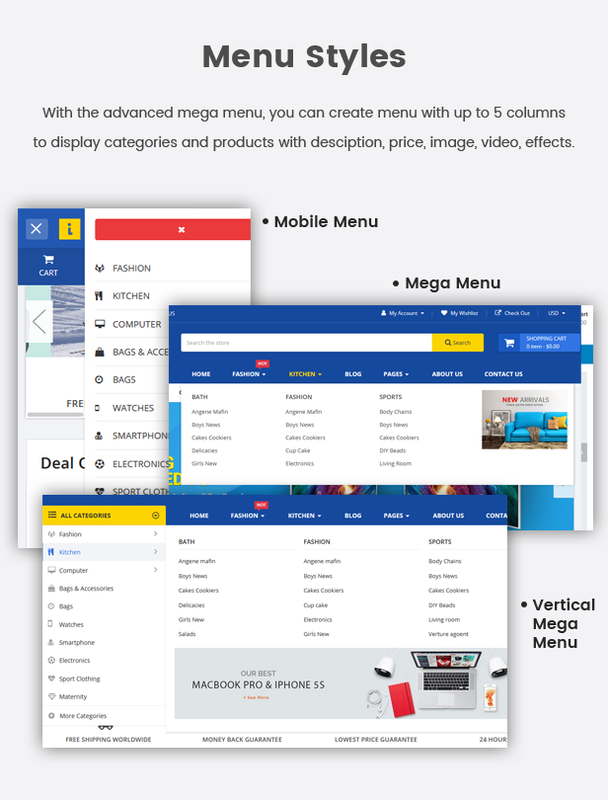 Specially, iMarket is the perfect & beautiful combination of minimal layout and trending features: Bootstrap 4.x, Advanced MegaMenu, Unlimited Color Options, Sticky Navigation, Product Badges, Photoswipe & zoom and many more.